Not to be confused with Terter. For the administrative district, see Tartar Rayon. 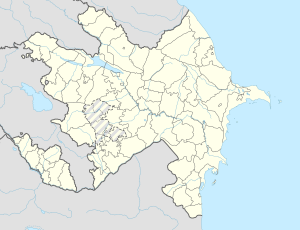 Tərtər (also, Mir Bashir, Mirbäshir, and Terter) is a city in and the capital of the Tartar Rayon of Azerbaijan. This Tartar Rayon location article is a stub. You can help Wikipedia by expanding it. This page was last edited on 29 October 2018, at 17:32 (UTC).